Bryan Cranston, Debra Messing and Kathy Griffin were on "Seinfeld"?! 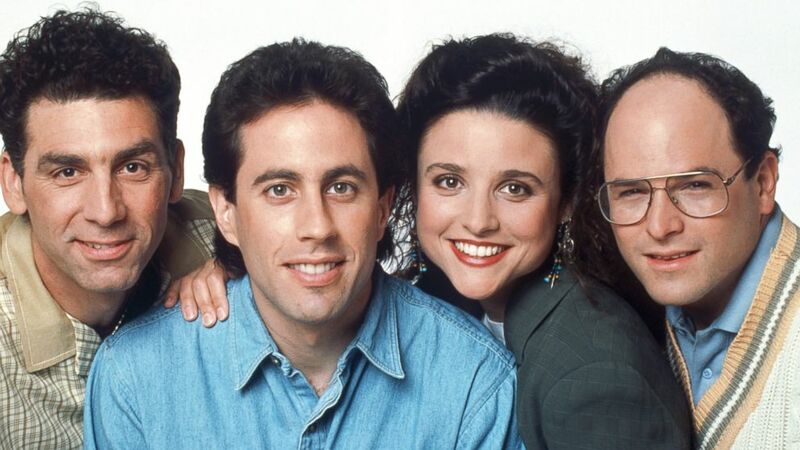 camera (NBC via Getty Images) From left to right, Michael Richards as Cosmo Kramer, Jerry Seinfeld as Jerry Seinfeld, Julia Louis-Dreyfus as Elaine Benes, Jason Alexander as George Costanza are seen in this undated image. intro: Today marks the 25th anniversary of the greatest sitcom that was "about nothing." "Seinfeld" launched 25 years ago on July 5, 1989 and still resonates in pop culture lore, with quotes and episodes talked about today, almost 16 years after the series finale. quicklist: 2 title: Debra Messing text: The "Will & Grace" star played Beth. quicklist: 9 title: Jeremy Piven text: The "Entourage" star auditioned to play George in his pilot for NBC. quicklist: 14 title: Brad Garrett text: He played Jerry's mechanic. quicklist: 17 title: Catherine Keener text: Keener played another love interest for Jerry, you get the point. quicklist: 22 title: Teri Hatcher text: "They're real and they are spectacular." You know who Hatcher played. quicklist: 24 title: Anna Gunn text: Another "Breaking Bad" star, she played Amy.